The words of fifteen-year-old activist Greta Thunberg strike to the heart of the problem facing humanity today. Our world is in a state of emergency as the Arctic sea ice melts and the planet warms. The only sane response is swift and comprehensive action. In October 2018, Canada joined Arctic nations as well as China, Japan and South Korea in a commitment to keep commercial fishing out of the Arctic high seas. This is neither as bold nor as hopeful as it sounds. High seas protection is not enough because exploitation of all kinds happens mostly along coastlines. And a sick Arctic Ocean is no place to fish at all. This is why the MAPS Treaty is essential. It updates the United Nations Convention on the Law of the Sea to protect the entire Arctic Ocean north of the Arctic Circle. 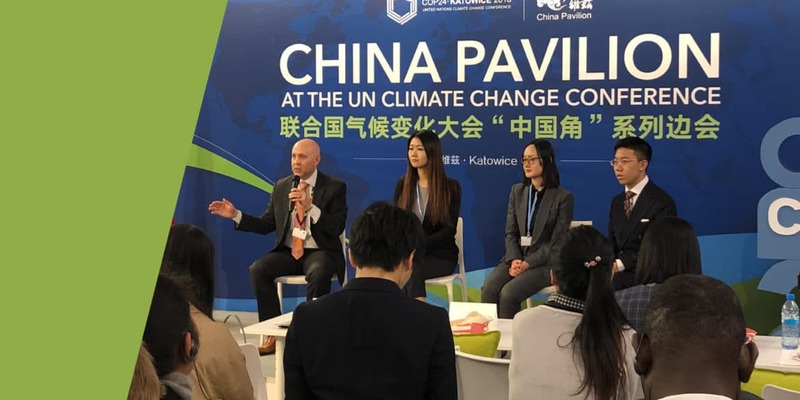 Carrying that message, Darcy and Vandana travelled to Katowice, Poland for COP 24. They met with the representatives of over 40 nations and placed MAPS information directly into the hands of many leaders. In addition, they met with several key UN staff, and countless members of civil society. On the last day of COP 24, at a social gathering at the Pacific Pavilion, Prime Minister Henry Puna of the Cook Islands was in attendance. At the end of the speeches, Darcy made a beeline for him. Almost as though by magic, a seat opened up beside the Prime Minister and Darcy sat down. Then another seat opened up on Darcy’s other side, for Vandana. Though small island nations like the Cook Islands have contributed the least to the environmental and humanitarian crisis unfolding in our world today, they face some of the most severe effects. 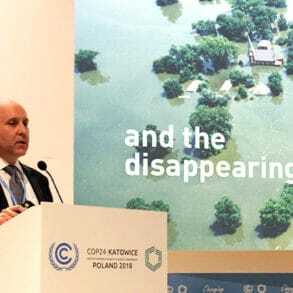 Yet, they are too often left out of negotiations that have real implications for their people, and COP 24 was no exception. Some journalists reported that these countries were actually “bullied” by more powerful nations into accepting text that was inadequate for their people. These choices can literally mean life and death. Darcy explained MAPS and the MAPS Treaty to Prime Minister Puna, who said, “That sounds like something I should sign.” They moved to a small side-room. Vandana handed the Treaty to the Prime Minister, who reviewed it and signed it on the spot.